You are invited to become part of a great team -- devoted to helping others with their personal and professional development. Registration is available to consultants, facilitators, coaches, organization development and human resources specialists and other professionals who would like to include the survey as part of their toolkit. For all others, use of the survey and workbook are free. 1) You agree to use the survey and workbook ethically and as intended, as tools for individual and group development, according to professional standards. 2) You agree not to alter the survey or workbook, make derivative instruments, republish them, set up a separate download site (unless authorized) or otherwise violate the copyright; you promise to give attribution to Oestreich Associates for the survey, workbook, and other website materials. 3) You agree never to charge money to anyone for the survey or workbook document, but only for related consulting, facilitation, training, coaching, leadership and other team development services. 4) You pay a one-time fee of $250.00 USD. Organizations using the survey or workbook -- either internally or externally -- are asked to pay a one-time fee for each person who uses these tools as part of his or her professional consulting or facilitation role. 5) You agree that your name and your organization's name be listed on this site. (If a person and organization are not listed, commercial use is not authorized). 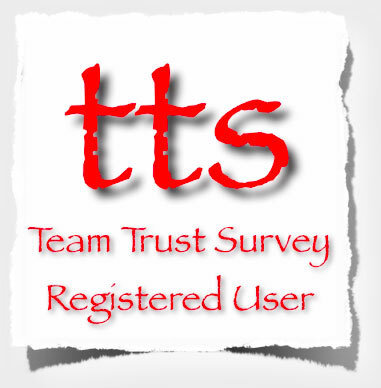 1) Display your own contact links on this site, if desired, as a registered user of the Team Trust Survey and Workbook. At your discretion, you may also include a brief statement (50 words or less) describing your services and company. 2) Advertise services that you provide in conjunction with the survey and workbook through your own media. 3) Receive email coaching and support within practical limits from Dan Oestreich on use of the survey and workbook, and be informed about related training provided by Dan. 4) Be notified via email of changes and updates to the survey and workbook. 5) Use the badge shown above, if you like, to show your support for the survey and serve as a link to the survey download page. See the FAQs page for additional information on registered use. Please contact Dan directly to learn more about this opportunity or make inquiries. You can register immediately using this brief form. While Dan Oestreich and Oestreich Associates cannot guarantee or certify the quality of services provided by registered users, you are encouraged to visit their websites and use their contact information when in search of professional assistance. Names with an asterisk (*) are external consultants or other external service providers. Kathleen A. Paris, Ph.D., Author, Speaker and Consultant consults on creating emotionally healthy workplaces. She also provides services for strategy formation, results management and leadership development. Advisory services related to organizations for whom computing is strategic. We specialize in improvement and organizational effectiveness. Helping you Create Tomorrow Today is our focus. 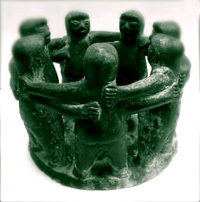 Your team might need a realignment or perhaps a tectonic shift in culture. We work with your team to engage everyones' skills, talents and passion, and utilize creative tools to build a cohesive team. This results in the tomorrow of your dreams! 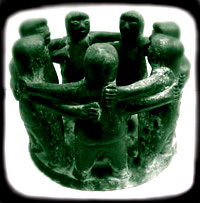 ETS provides training on environmental statues and regulations, team coaching, conflict mediation and facilitation. Our passion is positioning people and organizations for success!